TASS, September 16. Hurricane Florence weakened tropical depression, according to the US National Hurricane Center. "Florence weakens to a depression but flash flooding and major river flooding will continue over a significant portion of the Carolinas," the center’s report said. According to the report, "The depression is moving toward the west near 8 mph (13 km/h). A turn toward the northwest with an increase in forward speed is expected today, followed by a turn toward the north and northeast with an additional increase in forward speed on Monday. On the forecast track, Florence's center will move across the western Carolinas today and then recurve over the Ohio Valley and Northeast U.S."
It was reported earlier that Hurricane Florence claimed the lives of 13 people in North Carolina and South Carolina. According to ABC, "more than 20,000 people in six states - North Carolina, South Carolina, Virginia, Georgia, Maryland and Tennessee - took shelter in 206 Red Cross and community shelters on Thursday." The state authorities of Georgia, Virginia, North Carolina, South Carolina, Maryland, as well as Washington D.C. earlier announced state of emergency. 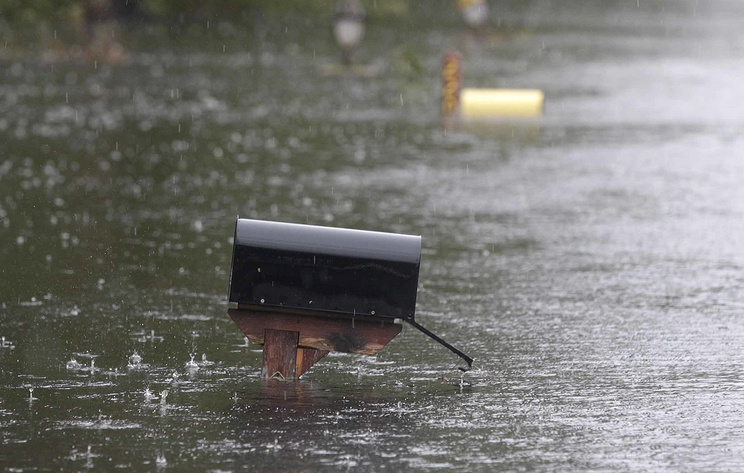 The storm has already led to floods in several regions of South and North Carolina. Earlier the two states announced evacuation of coastal areas with a population of more than 1.5 million people. More than a thousand flights were canceled on the East Coast.